Bercan is an original thinker, highly sensitive, with a strong business acumen. She has a mission: everyone has the right to be heard. She is an acknowledged and well-known pioneer of diversity at the top and she knows the pitfalls and the strength of being different, and she knows how to achieve. Born in Istanbul, Turkey, Bercan studied business economics at the Bosphorus University. After graduating, she pursued her career in various senior consultant and management roles with Dutch and International organizations, among which Arthur Andersen, Nozema, Coopers & Lybrand Management Consultants and Interboor Nederland BV. Her last executive role was with Brunel International NV, where Bercan as CFO was responsible for financial policies. Finally, she launched Woman Capital BV and positioned it in the market. 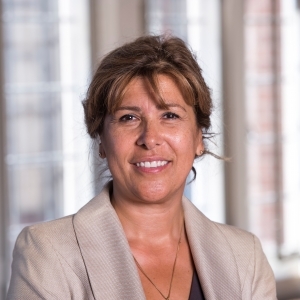 Bercan currently chairman of the Supervisory Board of Dolmans Investments, member of the Board of De Balie, Aanjager NL2025, and she is member of various Advisory Councils in different organisations. As a coach, Bercan knows how to get to the core… your core. She balances a confronting with a compassionate style; all in order to let you flourish, shine and become the best leader you can be.